In this tutorial you are going to how to change Skype language. Start Skype and sign in with your Skype name and password. Choose the language you want to change to by clicking on the “Tools” menu and navigating to “Change Language”. From this large list you can select the one that you want. Skype will instantly change to your language choice. 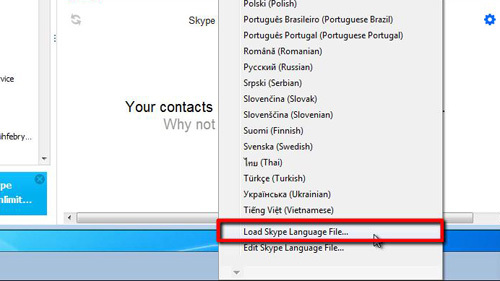 If, however, your language is not available, you can load a language file that you have obtained previously into Skype. Again, go to “Tools”, select “Change Language” and scroll to the bottom of the list and click on “Load Skype Language File”. A standard “open” dialogue box opens. 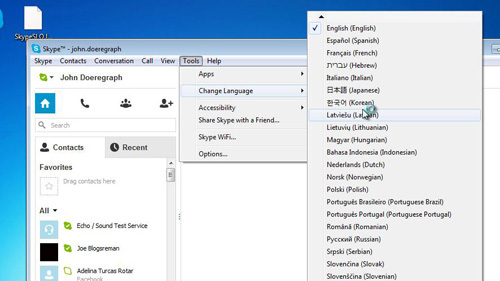 Navigate to the language file and click the “Open” button, the Skype language will then change. 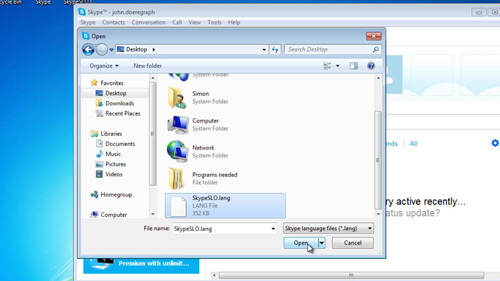 Skype language files can be found at different locations around the web, the format recognized by Skype is “.lang”. This is how to change Skype language.